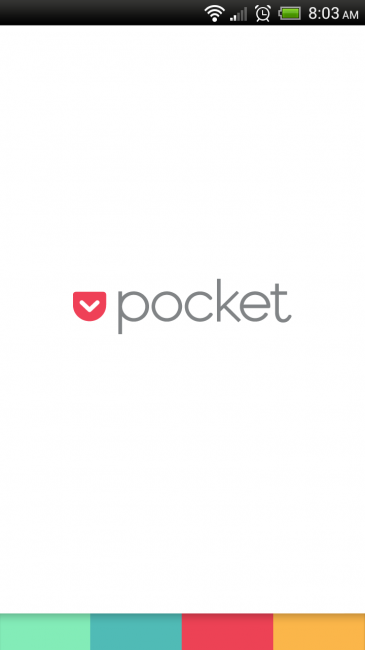 The popular Read It Later app for Android and other platforms has undergone a full name change and UI overhaul today, turning into what is now known as Pocket. For those not familiar, think of Pocket as the service you should use if say you were in the middle of reading an article this morning before you took off to work, but wanted to finish it from your phone or tablet at lunch. Simply add it to your Pocket account with the touch of a button (Chrome browser extension) and pull it up later through the Pocket app. It’s one of those apps that you can’t live without, once you make it a part of your life. We are a busy species. On the UI front, the app is much more minimal, clean and fast. Your articles should load faster, navigating is simpler, and organizing is easier. Is it just me or did they totally kang the Google Play theme? Maybe they meant to. Along with the name and UI changes, the app has also become free across all platforms. Previously, there was a free and paid version, but those days are a thing of the past. Samsung Galaxy SIII Only to be a "Minor" Upgrade Over Its Predecessor?